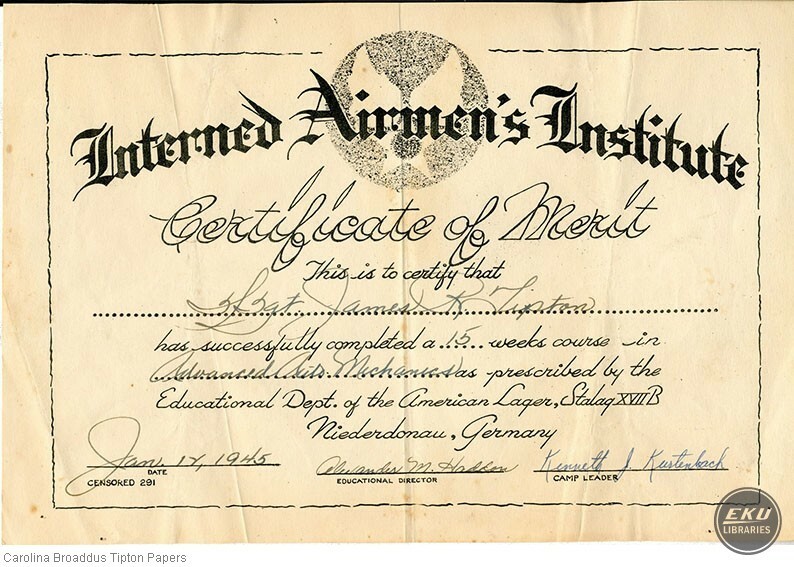 The Carolina Broaddus Tipton Papers center upon James R. Tipton, who served in the US Army Air Corps during World War II. The collection consists of two folders and a scrapbook. 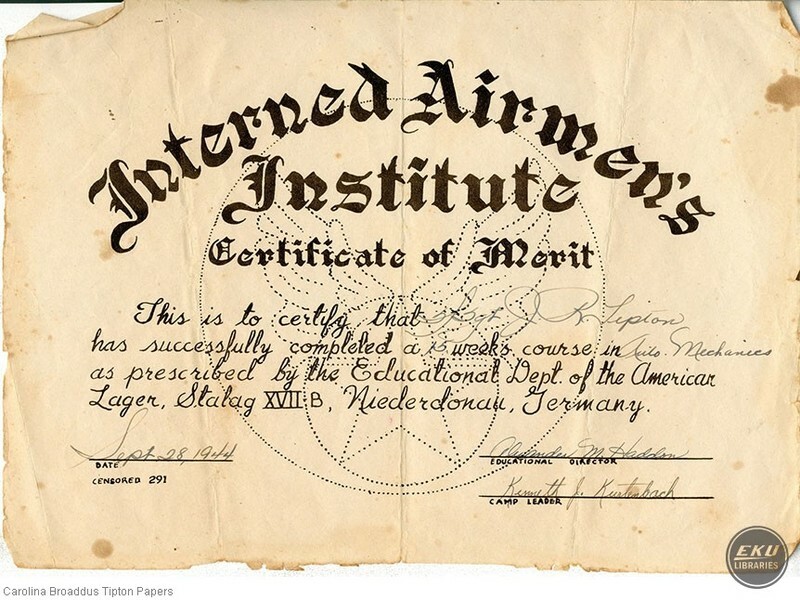 The first folder contains certificates of merit earned by Tipton while a prisoner of war in Germany. The second is composed of correspondence, souvenir items, and an almanac. 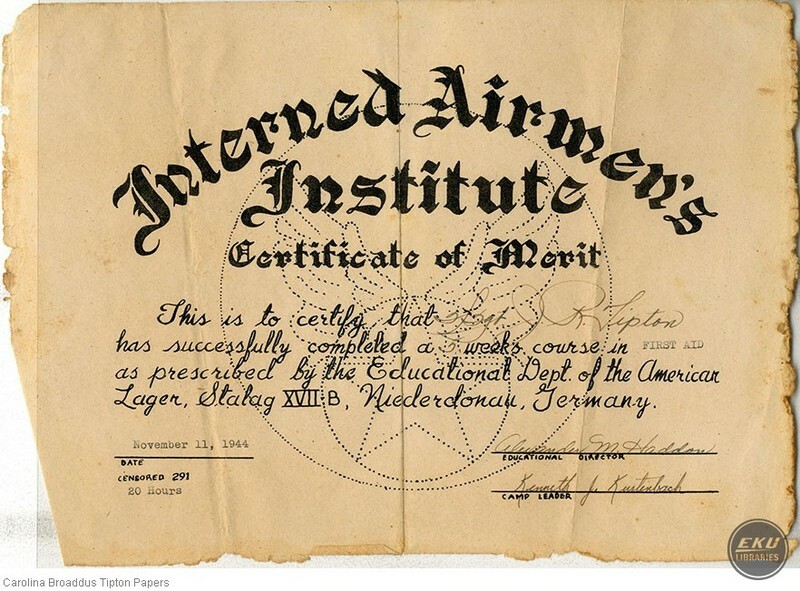 The correspondence includes letters from Tipton to his family while he was a POW at Stalag VIIB. The scrapbook contains mostly newspaper items regarding local soldiers, the war effort, local news, and pictures. 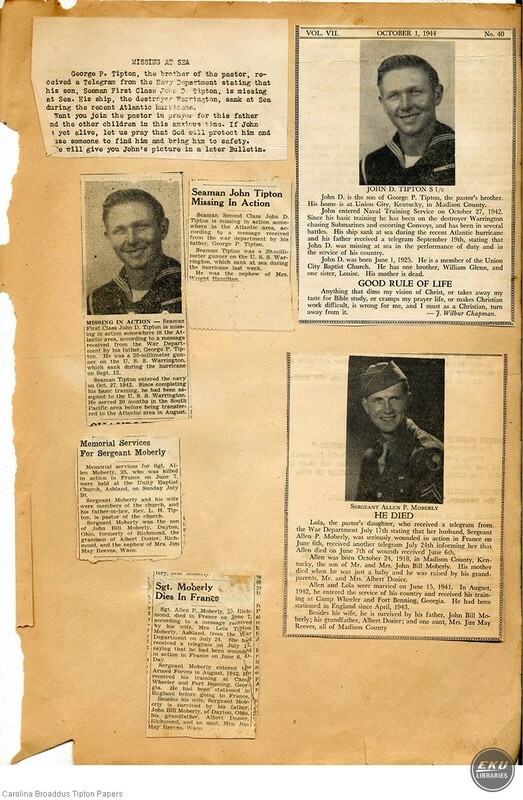 There is a Naval graduation class photo including Tipton, some correspondence, and a few postcards. Most of the material within the collection ranges from 1943-1945 with a few items from the early 1970s.